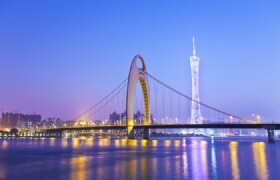 This 5-day tour is ideal for students to explore Guangzhou and Shenzhen with excellent value for money! 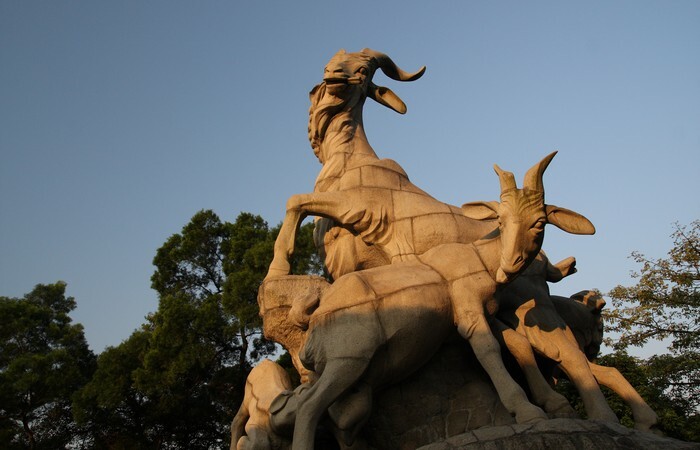 Detailed Itinerary: After arrive in Guangzhou, you will be immediately transferred to the first tourist attraction—Yuexiu Park. 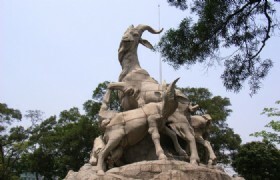 It is a must-see site for visitors in Guangzhou which has many historical relics such as the famous Five Rams Sculpture. Then visit the symbolic Sun Yat-Sen Memorial Hall where your guide will tell you stories about this great founding father of modern China. Next proceed to the famous Huaisheng Mosque for praying. 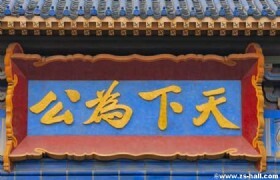 Finally go to Beijing Road Pedestrian Street to experience great nightlife with shopping and tasting local delicacies. 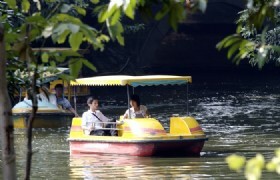 Yuexiu Park: Yuexiu Park is one of the oldest and also the largest cultural sightseeing park in Guangzhou. Named after the Yuexiu Mountain in the park, Yuexiu Park occupies an area of 860,000 square meters and is consisted of three artificial lakes and seven hills of Yuexiu Mountain. Sun Yat-Sen Memorial Hall: Sun Yat-sen Memorial Hall is a symbolic construction and also a top tourist attraction in Guangzhou. Sun Yat-sen Memorial Hall in constructed to commemorate Sun Yat-sen, the great forerunner of Chinese revolution. Huaisheng Mosque: Huaisheng Mosque is one of the four oldest mosques in China and also one of the major mosques in Guangzhou. 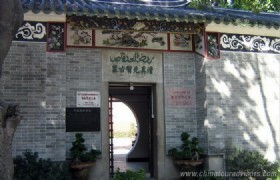 The Huangsheng Mosque is also called Guangta Mosque of Light Tower Mosque. 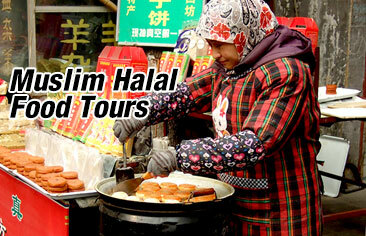 For tourists traveling to Guangzhou, especially for Muslim tourists, the Huaisheng Mosque is a must-see attraction. Beijing Road: Beijing Road Pedestrian Street is one of the most famous pedestrian streets in Guangzhou and is also a major shopping center in Guangzhou. 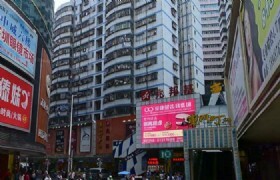 Beijing Road is located at the center of downtown Guangzhou. Detailed Itinerary: After breakfast, you will be transported to Huacheng Square for sightseeing. 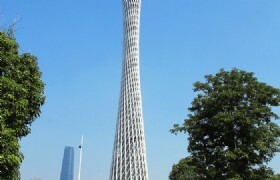 Then head to the landmark Guangzhou Tower which is a hot tourist spot for taking photos. 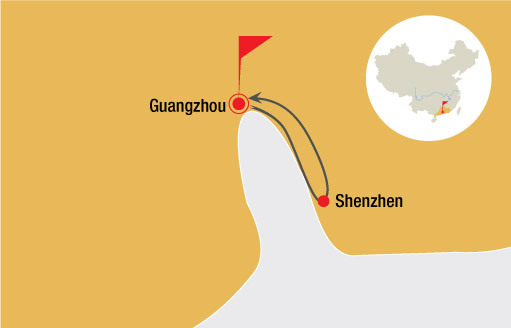 Leaving Guangzhou Tower, you will visit Guangdong Museum to learn more about the city. After proceed to a tomb: Maqam Saad Abi Waqas. 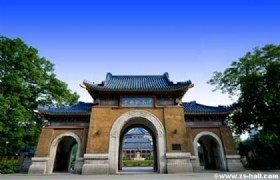 Then visit the famous Sun Yat-sen University. Later you will explore the Shangxiajiu Pedestrain Street where shops sell local delicacies, food, clothes , souvenirs and is full of old town charm. You will be transferred to your hotel after having dinner at a local restaurant. Guangdong Museum: Guangdong Museum is a comprehensive museum located in downtown Guangzhou and also a popular tourist site for Guangzhou tour. The old Guangdong Museum was founded in 1959 with an occupation of 43,000 square meters and a collection of over 160,000 pieces of relics. The new Guangdong Museum which is located in Zhujiang New Town was opened in 2010. 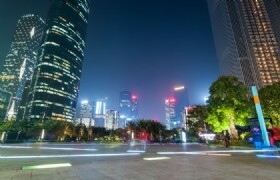 Shangxiajiu Pedestrian Street: Shangxiajiu Pedestrian Street is one of the most popular commercial centers in Guangzhou. As the first commercial pedestrian street in Guangzhou, Shangxiajiu has more than 300 stores and shops along the street in the length of 1,237 meters. 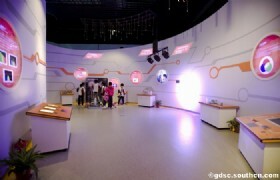 Detailed Itinerary: After breakfast, you will visit Guangdong Science Centre to experience the newest technologies. You will be transferred to Shenzhen once you finish your lunch. 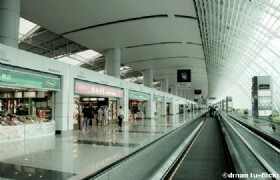 The first stop in Shenzhen is Dongmen Pedestrian Street which is the best place for shopping and food. You will be transferred to your hotel after having dinner at a local restaurant. 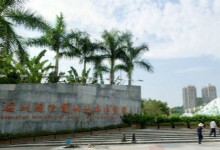 Guangdong Science Center: Located in Xiao Guwei Island as a part of the Guangzhou University area, Guangdong Science Center is the largest of its kind in China with a land area of 450,000 square meters and a construction area of 137,500 square meters. 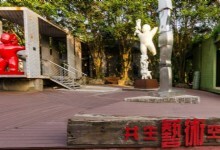 Combining the functions of science education, science research, academic exchange, science exhibition, and leisure sightseeing, Guangdong Science Center is a hot tourist attractions to see in Guangzhou. Detailed Itinerary: After breakfast, you will visit the famous Lotus Park where stands the Deng Xiaoping Statue. 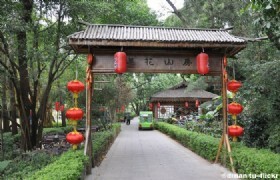 Then proceed to Shenzhen Garden Expo Park with lovely botanical gardens and flowers from all over the world. 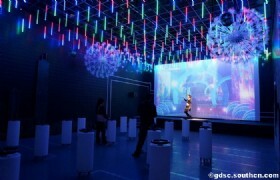 Next begin your culture tour at OCT Loft where you’ll be impressed with its modern art, trendy cafes and crafts. After go to Civic Center, the landmark government building in Shenzhen. 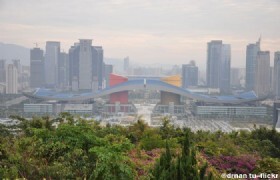 Then visit Shenzhen Museum to learn more about the city. You will be transferred to your hotel after dinner. Shenzhen Lotus Hill Park: Lotus Mountain Park lies in the central part of Futian. The 106-metre hill is named because of its shape. Shenzhen Garden Expo Park: Shenzhen Garden Expo Park, with an area of 660,000 square meters and close to Shennan Avenue, is located between the Honey Lake and the Overseas Chinese Town and opposite to Hong Kong. Shenzhen Citizen Center: Citizens' Center is the lanmark of Shenzhen in Futian district. The most special thing about this Citizen's Center is the roof - looks like the wings of a large fabulous bird. The beautiful Shenzhen Library and Shenzhen Concert hall are right next to it. It is a idea place to read some book and relax. 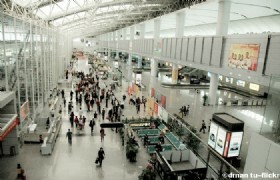 Detailed Itinerary: After hotel breakfast, you will enjoy your free time until be transferred from Shenzhen to Guangzhou airport for departure. Meals: 4_ breakfasts, _4 lunches and _4_ dinners. * The group size is from _15_ persons up. * Child with bed is 100% of an adult fee. Child with no bed is 75% of an adult fee. * The price is based on twin share. If no one can share a room with you, extra cost USD 90/person for single supplement is needed. * Enough 15 Students fully paid can get FOC one Teacher base on twin/Double share. * Black out date: China National Day Holiday (1OCT-8OCT,2017), Canton Fair (14OCT-7NOV,2017), Shenzhen High-Tech Fair (16NOV-21NOV,2017). Tour fare should be requoted during above period. 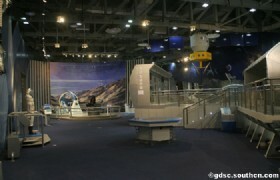 * Guangdong Museum, Guangdong Science Centre and Shenzhen Museum are closed every Monday.